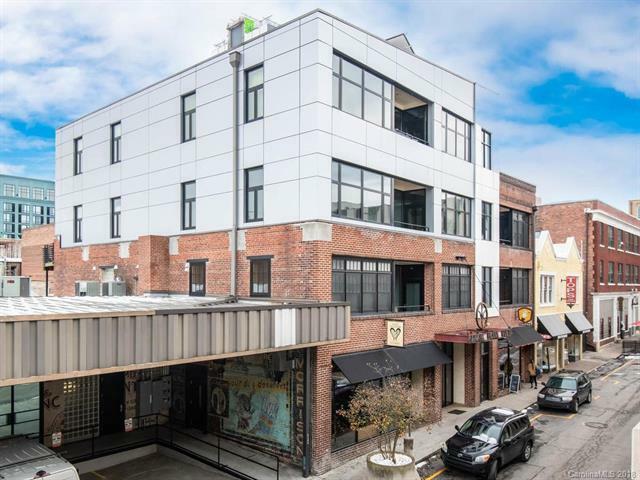 Great downtown Asheville turn-key investment offered with this cool, efficient and low maintenance condo in Rankin Press Lofts. Located in the heart of downtown just above coffee shops and restaurants this furnished condo is a ready to go investment as a short term rental with great history. This loft style condo blends the best in historic and modern features mixing together brick walls and oak floors with stainless and concrete. The urban, industrial style home has 1 bedrooms, 1 bath and extra generous storage in basement. Ask us for details. Sold by Carolina Mountain Sales.